The idea flowed from a conversation with his dad. Bill Solomon would come home for the holidays and talk shop with his father Jim Solomon, who worked for a Caterpillar dealer in Oklahoma. Bill had grown up around heavy equipment but spent 15 years in sales and marketing at Johnson & Johnson. 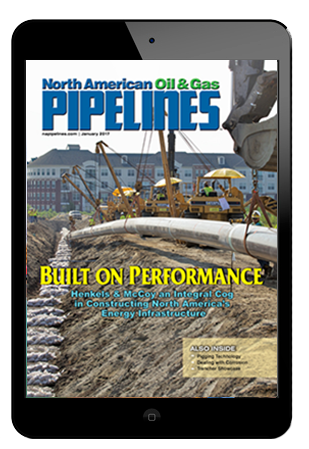 His introduction to the pipeline industry came from those talks with his father. Inevitably, the problem of injuries on the jobsite would always come up. A common cause of injuries was from loading and unloading pipe, from the yard to the trailer to the jobsite. Traditionally, sidebooms used chains, slings and hooks to secure pipe. Solomon says that people were getting hurt or even killed by getting caught in the way when a load shifted. From there, Solomon’s idea grew into a plan to form a company that focused on a safer way to move pipe. Landing on vacuum lifting technology as a solution to pick up pipe from the top and not damage the coating, he left Johnson & Johnson to start Vacuworx in 1999. At first, it was only he and his wife Christy, who worked tirelessly with him in the early days as they attempted to crack the pipeline market and build the Tulsa-based company for the future. Now, Vacuworx enters its 20th year in business with 48 employees in the United States and a global presence. 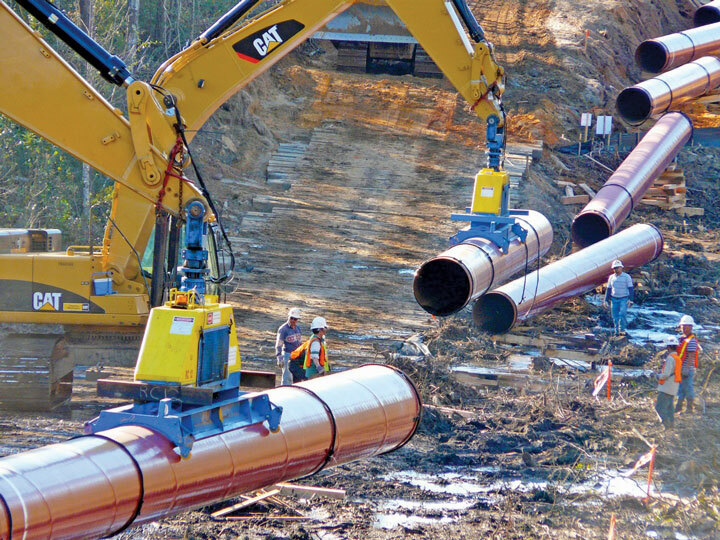 The pipeline market was the initial target for Vacuworx lifters. However, the industry isn’t always quick to adopt new technologies. Taking the product from an idea to something actually used in the field took a lot of convincing. Fortunately, an opportunity arose around 2002-2003 in the form of a major big-inch pipeline crossing the middle of the United States. This also coincided with the introduction of a new kind of coated pipe. Solomon demonstrated the capabilities of the Vacuworx lifters and allowed contractors to experience it themselves. Solomon had to adopt a “never give up attitude” to get the pipeline industry to accept vacuum lifting technology. Just like when Solomon would talk to his father back home, once he started talking to the contractors, the same problem with injuries would crop up. Now, he had an answer. In some cases, Solomon would even let contractors use the Vacuworx machine for free. Once the contractors used the vacuum lifter, Solomon says it usually didn’t take long for them to see the benefit. That doesn’t mean there wasn’t resistance. Despite facing skepticism and people questioning what he was doing, Solomon says he always had one key person in his life who supported him: his wife, Christy. When Solomon explained that nobody else was using this technology, he found that nobody would lend him money for it. He ended up maxing out credit cards, using their house as collateral, cashing in his 401(k) and other savings to finance the company. Solomon’s previous experience with Johnson & Johnson turned out to be helpful in starting a company that served the pipeline industry. Seeking the right technology to safely lift pipe without damaging the coating, Solomon looked far and wide. After looking at various technologies around the world, Solomon discovered vacuum lifting was the only thing “making any headway,” thanks in large part to engineers in The Netherlands. 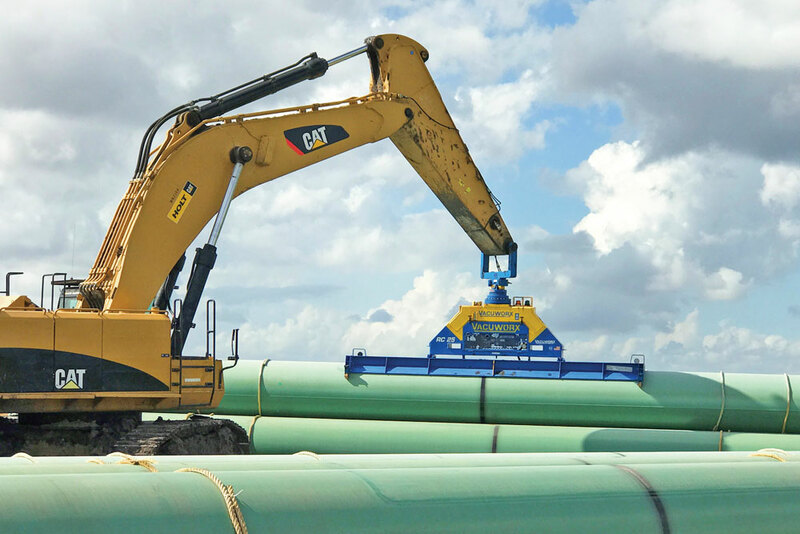 However, there were other challenges Solomon had to solve to make vacuum technology work on a pipeline jobsite. Luckily, timing was on his side. It may seem logical to start smaller and work your way up, but that’s exactly the opposite of how Vacuworx has grown its product line. Vacuworx lifters are self-contained, with lugs that can handle a variety of vacuum pads for different size pipe. Solomon stresses the importance of having the right pad for the pipe. While there is no limit on the diameter size that the Vacuworx lifters can handle, the top end weight limit was originally 20,000 lbs. As pipe has gotten bigger, so have the weight limits on the machines, with 25 metric tons now being the largest of the RC Series models. Throughout his career in the pipeline industry, Solomon has found ways to give back to the industry and to the local community around Tulsa. Not only is he an active member of a number of pipeline and related associations, but he also established the Tulsa Pipeline Expo in 2009 (later renamed The Pipeline and Energy Expo). The event started as way to share the 10-year anniversary of Vacuworx with customers and employees. Although, the official month of anniversary is May, the celebration kept getting postponed. Solomon decided to highlight these companies and show that the rich heritage of oil and gas in Tulsa is still alive and well. At that first year’s event, Solomon found another way to give back. That’s how the Eagle Gift Foundation was formed. The nonprofit organization raises money to promote educational programs to protect vulnerable children and adults and lend a helping hand to those who are down on their luck. With Vacuworx entering its 20th year in business this month, Solomon reflects on how the company has grown. He feels humbled by the customers who have returned again and again for Vacuworx products. If imitation is the best form of flattery, Solomon can look around and see his impact in the other companies that have entered the vacuum lifting space. While the first Vacuworx machines had a weight limit of 20,000 lbs, the company has continued to expand lifting capacities. The largest of the RC Series machines can lift up to 25 metric tons (more than 55,000 lbs). Vacuworx also continues to grow. The company is currently hiring more people, and it soon will be opening the new Vacuworx Technology Institute, which will expand training capabilities and foster new product development. Meanwhile, Vacuworx is expanding its market footprint. On April 18, the company announced a partnership with Ditch Witch to distribute its vacuum lifting machines on a global scale. Despite all the growth and expansion since 1999, the core of Vacuworx’s business remains the pipeline industry.